The summer of 1947, nearly seven decades ago, saw the intersection of two phenomenal cricketing tales – one in its infancy, another in its twilight. The inaugural Indian tour of Australia was adorned in a backdrop of independence, the newly formed Union of India playing its first series against a nation other than England, with 36 year-old Lala Amarnath at the helm, ably supported by Indian legend Vijay Hazare. The tour was ground-breaking for the Indians, opening up new conditions which were unlike any previously conquered nor faced. Sir Donald Bradman was entering the twilight of a career that had eclipsed all others in the game’s history, and a career which will arguably remain unparalleled, regardless of timeframe. Entering this tour, it was widely considered that this would be the final time The Don would wear the Baggy Green in his own country, and crowds flocked to every game with the expectation that it could be their last chance to witness the greatest the world had ever seen. The tour would prove an eventful one for Bradman. Having entered the tour with a Test average of 97.85, he also had 97 first-class centuries to his name, and was honing in on an achievement achieved by just 10 men, and none outside of England… 100 first-class centuries. A ton of tons. The Indians acknowledged the proximity and magnitude of the milestone, openly stating that it would be an honour for them to be present for the achievement. And so it was – at the Sydney Cricket Ground, in front of a swelling crowd of more than 30,000 – Bradman made it through to the last over prior to tea on 99 not out. Sensing the occasion, Amarnath tossed the ball to Gogumal Kischenchand – an otherwise unused bowler – and a gentle prod into the leg side saw Bradman enter into the record books yet again, to a prolonged, standing ovation. The achievement helped to forge a meaningful friendship between Bradman and his newest counterparts, with Bradman often spending time with his opponents with the sole intention of helping them collectively improve their bowling and fielding. It represented a camaraderie rarely seen in the modern game. It was not to be Bradman’s only triumph of his final summer; far from it. 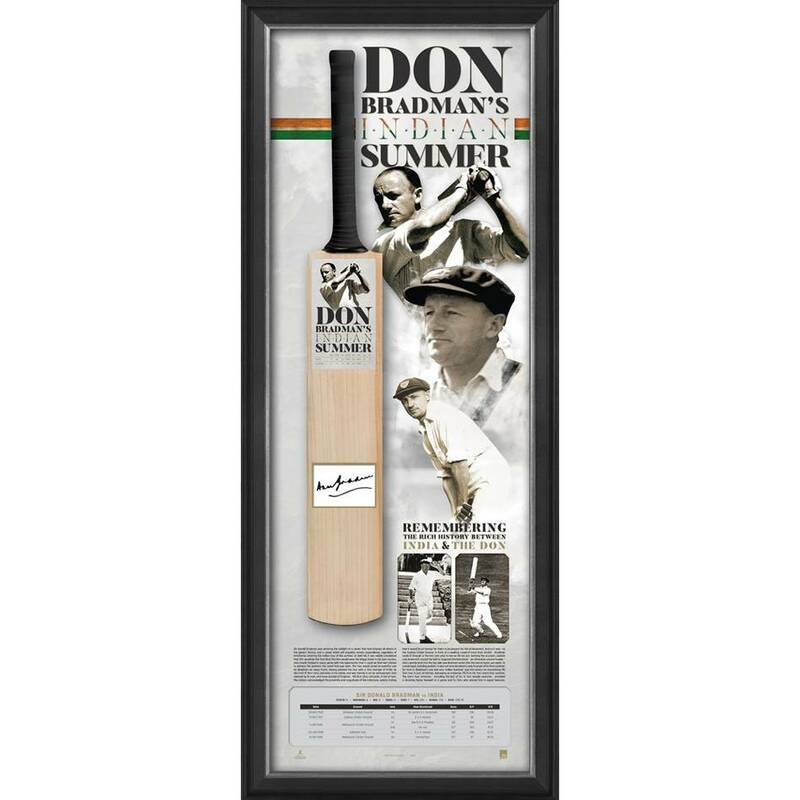 Bradman’s one and only ‘Indian Summer’ saw him amass an astonishing 715 runs in just six innings. Averaging an immense 178.75 in the Test arena that summer, The Don's four centuries – including the last of his 12 Test double centuries provided a stunning home farewell to a game and its fans who adored him in equal measure. It would be just the first chapter in an international sporting rivalry that intertwines itself in the fabric of the Test cricket, and its echoes are a benchmark by which all individual performances between the two mighty teams will forever be measured.